Brisbane property prices grew at a faster rate than Sydney last quarter, official data out today has found. 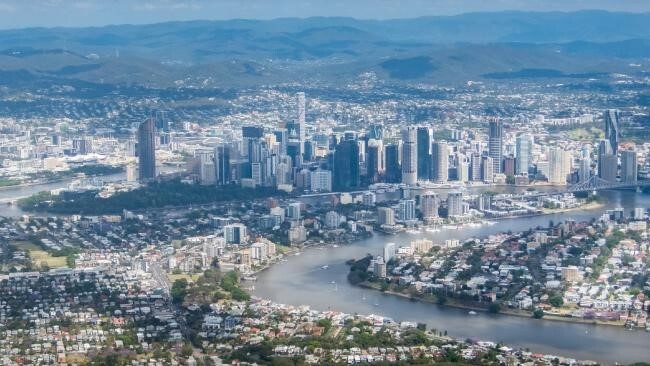 The Residential Property Price Index (RPPI) for Brisbane grew 0.7 per cent in the September quarter — trailing only Hobart (3.4 per cent) and Melbourne (1.1 per cent) growth in the three month period. The only other capital city to see growth in the quarter was Adelaide (0.7 per cent), with all others posting negatives: Sydney (-1.4 per cent), Perth (-1 per cent), Darwin (-2.6 per cent) and Canberra (-0.2 per cent). Latest Australian Bureau of Statistics figures showed Sydney has hit a -1.4 per cent price slump after five quarters of positive growth, with its houses down 1.3 per cent and units down 1.4 per cent. Australian homes hit a massive $6.779 trillion at the end of the September quarter, up $14.843b over the three month period, according to ABS.